No one knows what the Infernal Devices are but they sound menacing. After a battle between the Shadowhunters and the giant demon worm, they all return to the Institute to heal their injuries and sort out what this ominous warning could mean. It becomes glaringly apparent to all the Shadowhunters when they return to the Institute, that Jem is progressively getting worse and at an alarming rate. It has been no secret to all of them that Jem is dying. He relies on the yin fen to prolong his life, but he knows eventually he will die and with someone buying up all the yin fen in London, it’s only a matter of weeks before Jem dies. Knowing that, Tessa still plans on marrying Jem. 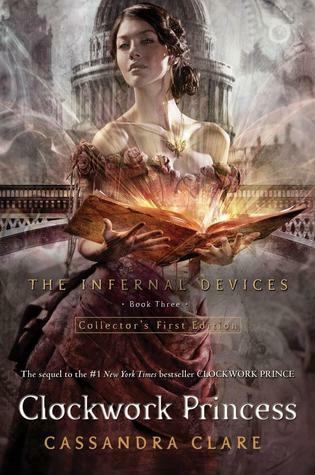 But the Infernal Devices are coming and Mortmain means to make Tessa his own bride. The London Institute is invaded by an army of new, animated automatons and Tessa is taken. Jem is seriously injured in the attempt to save her….though his health is now in a rapid state of decline he pleads with Will to leave him and save Tessa….she is the only thing that matters. As Jem’s parabatai, Will is duty bound to stay by his side, though he too longs to find Tessa, the bonds of brotherhood are stronger…until Jem releases Will to look for Tessa in his place….as another man who loves her with his whole heart. Like Tessa, Will has tried to suppress his feelings for her. Will loves Tessa with his whole heart, she is as much a part of his soul as Jem but how can he be in love with his parabatai’s girl…..he is in agony. But it is because of his love for both Tessa and Jem that he has kept silent about his own feelings and agrees to go after Tessa. Will hopes to reach Tess before Mortmain can use her against the Shadowhunters and before the Infernal Devices have their way with her, but at what cost? What if Jem dies and he is not there to see him off, will he lose his parabatai while saving the woman they both love? 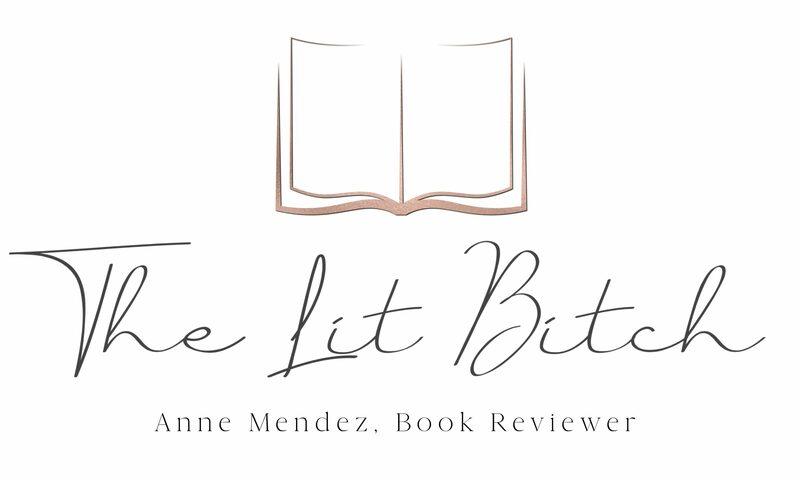 Will Tessa sacrifice herself to save the two men she is in love with? Is there any way to stop Mortmain and his new free thinking army of automatons? To say I needed a box of tissue to read this book would be a lie….I needed like 10 boxes of tissue, so consider yourself warned! This series is hands down my fav! I love the Infernal Devices (ID) series, the Mortal Instruments (MI) is good as well, but as you know I am a sucker for all things Victorian England….and honestly Will Herondale owns my heart FOR ALWAYS! For me, Will is such a perfect match for Tessa….Jem is too in a number of ways, but Will speaks to Tessa’s heart. They are so very much alike and they ‘get’ each other. There is undeniable comfort in that. I think one of the reasons I love this series so much is Tessa isn’t winey about which boy to choose. She loves unique things about both Will and Jem and she doesn’t want to come between them. She makes her choice and stands by it and I like that about her. I also love that she doesn’t spend a lot of time pining over that choice and the repercussions…..that alone shows her strength of character. I loved her for that fact alone. I loved that Clare didn’t make it about choosing one or the other and one being better than the other, both Jem and Will were perfect for her but for different reason and I think how the story ended was pitch perfect. The first half of the book was a little slow for me surprisingly. I found myself annoyed by all the correspondences with Charlotte and the Consul and the Consul and the Clave, because they bogged things down a lot, at least for me. I simply just wanted to know what Tessa was, who she ended up with, and how they were going to stop Mortmain. I didn’t really care about all the Shadowhunter politics…..but I’ve felt that way thru all of the MI and ID books. I realize that Shawdowhunter politics are an important part of both series but for me, I just want the action and romance! However as the story picked up, I was superbly rewarded! They way Clare makes everything come full circle was remarkable! The series ended wrapped up in a pretty box complete with a glorious bow! Truly a work of art! I thought I was be annoyed by the side plots and secondary characters (Cecily, Sophie, Gabriel, and Gideon) but I really fell in love with them and I was equally excited to see how their stories ended. I also love how Clare mixed in all the literary references….I know she does that in all her books but especially in the ID series. I love it….just sayin’! I wish I had started reading the ID series first instead of reading the MI out of sequence…I feel like I need to go back and re-read both series in order to fully appreciate the intricate plots and family ties that Clare has created. I haven’t read the fourth or fifth books in the MI series yet and I am eagerly awaiting the start of The Dark Artifices series. So I think what I might do in the next year is re-read both the ID and MI series but in order so I can get a better picture of what all is going on. By the Angel, I love the world that Clare has created. I loved the Shadowhunters….they are truly a unique creation of the imagination. Sometimes you must choose wheather to be kind or honorable….sometimes one cannot be both. A heart divided against itself cannot stand as they say. You love them both and it tears you apart. You endure what is unbearable and you bear it. That is all. I begin to think I was never meant for an easy road. ‹ PreviousAnnouncement: Elizabeth Gilbert lets fans choose the cover of her new novel THE SIGNATURE OF ALL THINGS! Yes!! It was so good. I did actually read ID before MI – which would have been great, except that Clockwork Princess wasn’t out yet then. So it was sort of chronological, but with a big unresolved hole in the middle. I want to reread MI too now that I’m done with Princess. Such a good ending!!! I’m with you on the tissues. I woke up my boyfriend to make him hug me (he was sleeping when I got to the end).